I’m not really a watch-wearing kind of person, but I have to admit… This is pretty cool. 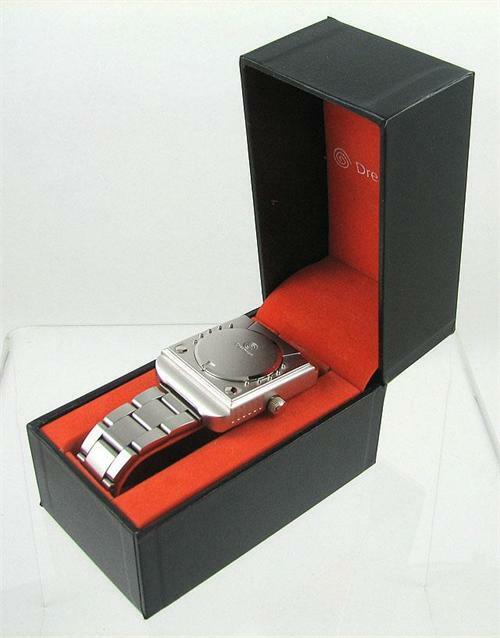 SEGA Direct has re-released a Dreamcast-shaped watch due for shipping in June that was originally sold on D-Direct quite some time ago. Anyone interested in acquiring one (or just wanting to look at more shots of the watch) can follow the link here to get your own! Thanks to DiGi Valentine via Facebook for bringing it to our attention!